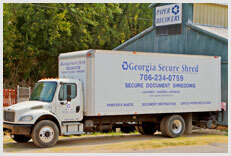 Georgia Secure Shred is the secure document destruction division for Paper Recovery of Georgia. This service can reduce costs and increases protection of your confidential business records. We are AAA NAID Certified and HIPAA compliant. This gives clients the comfort that their information will be destroyed with the highest levels of security practices in the industry. Our services can help you set-up a cost-effective and secure document destruction solution with a program that is customized to your specific business needs. Reduce your risk of identity theft or fraud. Request a free quote from our Document Management Representatives. 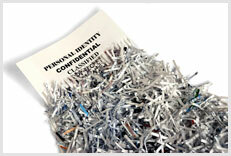 They will provide you with a detailed quote that fits your business's document shredding needs.